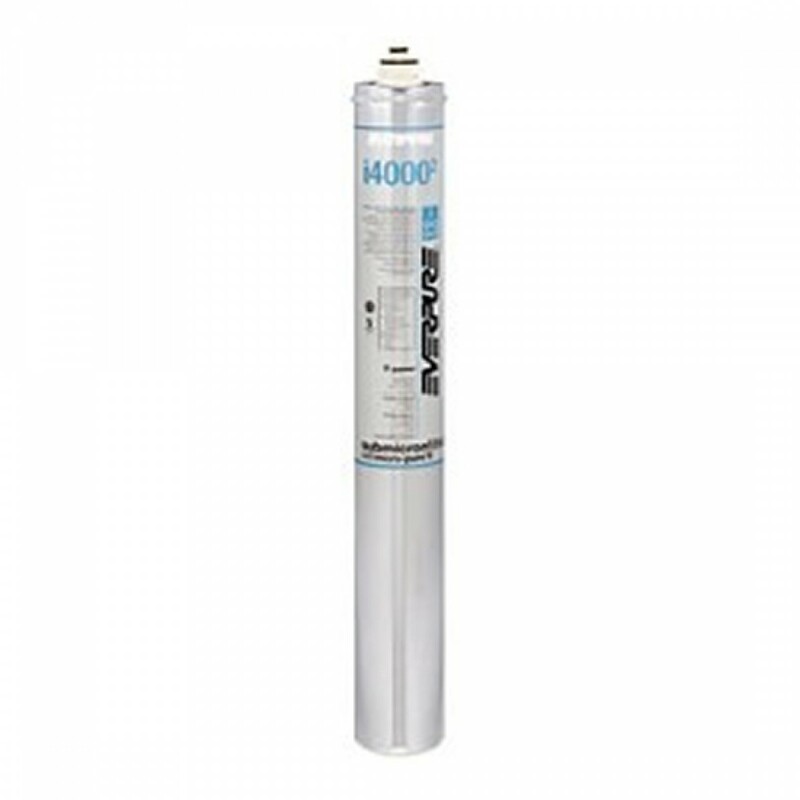 The Everpure I4000-2 replacement filter's Precoat submicron technology reduces dirt and particles as small as 1/2 micron in size and reduces health contaminants such as asbestos fibers and cryptosporidium and giardia cysts. For use when higher capacity filtration is needed. The Everpure I4000-2 features Micro-Pure II media with AgION antimicrobial protection which inhibits any potential bacterial growth. The Everpure I4000-2 Ice Filter reduces water-related ice machine problems caused by scale buildup from dirt and dissolved minerals. Self-contained scale inhibitor feed keeps ice machines functioning at full capacity. Reduces maintenance and service costs by reducing scale and clogging of distribution lines, evaporator plate and pump. Reduces chlorine taste and odor and other offensive contaminants. The Everpure Insurice 4000-2 replacement filter is a sanitary quick change cartridge that is easy to install and replace. The Everpure Insurice 4000-2 unit has a Standard 42 and Standard 53 NSF certification. 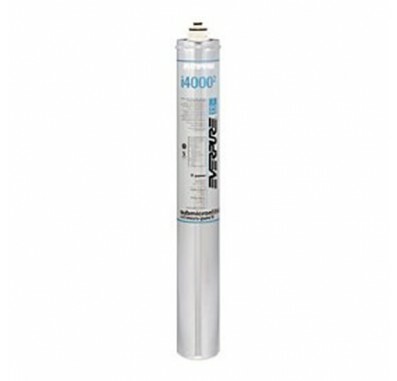 Replace the Everpure i4000-2 ice filter every 12,000 gallons (45,425 L). The Everpure I4000-2 filter is used in the Everpure Insurice filter system.